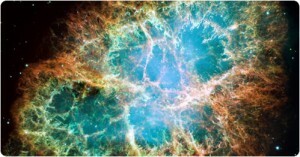 Probing the nature of matter and our cosmos. Super-Kamiokande is a 50~kiloton water Cherenkov detector located at the Kamioka Observatory of the Institute for Cosmic Ray Research, University of Tokyo. It was designed to study neutrino oscillations and carry out searches for the decay of the nucleon. The Super-K experiment began in 1996 and in the ensuing years of running has produced extremely important results in the fields of atmospheric and solar neutrino oscillations, along with setting stringent limits on the decay of the nucleon and the existence of dark matter and astrophysical sources of neutrinos. Perhaps most crucially, Super-K for the first time definitively showed that neutrinos have mass and undergo flavor oscillations. This facility is in the Mozumi mine of the Kamioka Mining Company in Gifu prefecture, in the Japanese alps. Super-K consists of two concentric, optically separated water Cherenkov detectors contained in a stainless steel tank 42 meters high and 39.3 meters in diameter, holding a total mass of 50,000 tons of water. The inner detector is comprised of 11,146 Hamamatsu~R3600 50~cm diameter photomultiplier tubes (PMTs), viewing a cylindrical volume of pure water 16.9~m in radius and 36.2~m high. dimensional survey of the entire visible sky. 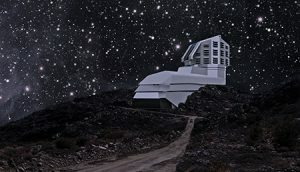 The LSST Dark Energy Science Collaboration will examine billions of galaxies and try to determine the nature of the mysterious “Dark Energy” which is unaccountably causing the universe to be pushed apart at a faster and faster rate. The T2K experiment is a “long-baseline” neutrino experiment where neutrinos are produced in an accelerator north of Tokyo and then shot across Japan to the Super-Kamiokande detector underneath the Japanese Alps. Super-Kamiokande is a giant underground water Cherenkov experiment, designed to capture neutrinos from the Sun and sky: the 11,000 inner detector photomultiplier tubes (PMTs) record photons from the charged products of neutrino interactions in the ultra-pure water. In the T2K experiment, Super-K acts at the far target of the neutrino beam. In 1998, Super-K showed that muon neutrinos produced by cosmic ray collisions in the Earth’s atmosphere “disappear” by changing to almost-invisible tau flavor: the neutrinos “oscillate” from one flavor to another by interference of mass states. Such flavor change is only possible if neutrinos have mass. Neutrino masses and the parameters which govern neutrino flavor oscillation are deeply connected to both fundamental particle physics and cosmology. Over the next few years, the Super-K atmospheric neutrino result was confirmed by other experiments. The beam neutrinos “went missing” in exactly the numbers expected, and with exactly the expected energy dependence predicted by the oscillation hypothesis. The next physics quest for Super-K is the search for the unknown neutrino oscillation parameter, “Theta _13” as part of the T2K experiment. The signature of non-zero Theta_13 is a tiny amount of electron neutrino appearance in a beam of muon neutrinos. The T2K experiment is designed to measure this parameter by looking for muon neutrinos produced in an accelerator at the JPARC center north of Tokyo to transform into electron neutrinos after they travel 295 km across Japan. Since this is a very small effect, a powerful beam is needed to create just a few of these events. In the latest T2K results, the accelerator made a beam pulse of neutrinos over two million times. Six events consistent with an electron neutrino were observed, although only 1.5 events would have been seen if muon neutrinos don’t oscillate into electron neutrinos. The probability that the observation is just due to a chance fluctuation is less than 1%. Super-K is located near Toyama city in Japan. 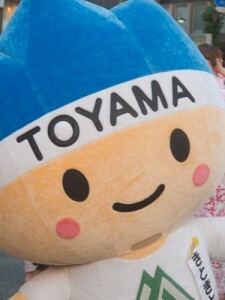 In fact, Toyama is a sister city of Durham . Home to Toyama bay, firefly squid and excellent Buri, you can be there in a short 20 hours from Durham! Members of the group make frequent trips to the experiment and some are based there. We have been and are involved in both the physical construction and maintenance of the experiment, and data analysis from both Super-K and T2K. The Helium and Lead Observatory (HALO) is a dedicated supernova neutrino detector that is presently under construction underground at SNOLAB in the Creighton Mine in Sudbury Ontario Canada. It uses 76 tonnes of annular lead blocks instrumented with 128 tubular Helium-3 neutron detectors to detect neutrinos from supernovae within our galaxy. As a part of the worldwide Supernova Early Warning System (SNEWS), it will help detect supernovae by their neutrino burst, before their light reaches Earth, allowing time to notify both professional and amateur astronomers. World Wide, several detectors currently running or nearing completion are sensitive to a core collapse supernova neutrino signal in the Milky Way. The neutrino signal emerges promptly from a supernova’s core, whereas it may take hours for the first photons to be visible. Therefore, the detection of the neutrino burst from the next Galactic supernova can provide an early warning for astronomers. Putting several detectors in coincidence can provide the astronomical community with a very high confidence early warning of the supernova’s occurrence. In addition, the SNEWS alarm may be able to serve as a trigger for detectors which are not able to trigger on a supernova signal by themselves, allowing extra data to be saved. The SNEWS project involves an international collaboration of experimenters representing current supernova neutrino detectors. In addition, gravitational wave detectors will be involved. The goal of SNEWS is to provide the astronomical community with a prompt alert of the occurrence of a Galactic core collapse event. We are also engaged in cooperative inter-experiment work, such as downtime coordination and inter-experiment timing verification, designed to optimize global sensitivity to a core collapse supernova signal. The Duke HEP neutrino and cosmology group activities are supported by the US Department of Energy and the National Science Foundation.